An evening of music, film, and dance celebrating historical, holy, and mythological women. Bring Us Your Women will present a live program of music, dance, and film premieres at ART’s Oberon Theater in Harvard Square on Friday, February 27th with an international cast and crew of musicians, filmmakers, visual artists, dancers, and poets. The program looks to share the untold, recontextualized, or reimagined stories of iconic women including Joan of Arc, Sirens, the Queen of Sheba and Eve, who have often been overlooked or defined only by their role in the context of men. 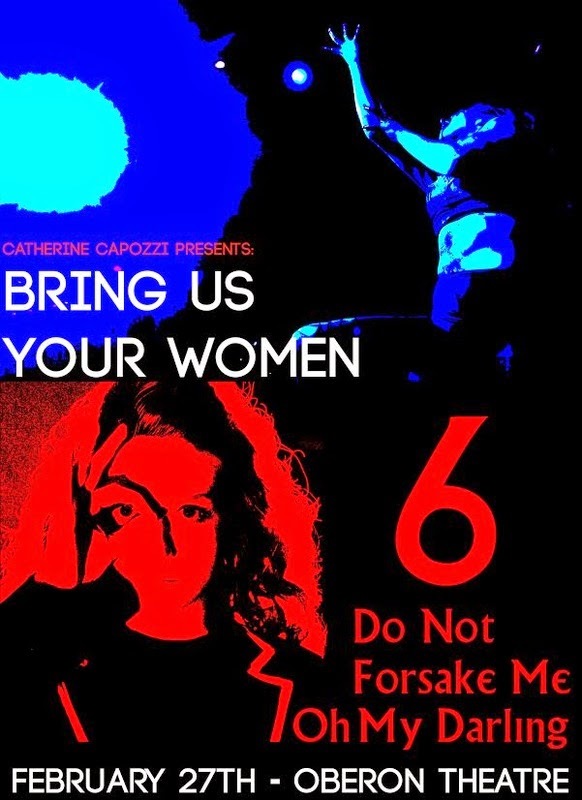 Bring Us Your Women is the brainchild of guitarist-composer Catherine Capozzi and includes local musicians Sophia Cacciola (Do Not Forsake Me Oh My Darling), and Michael J. Epstein (The Michael J. Epstein Memorial Library, The Motion Sick). To get an idea of what the night involves, check out this super uncomfortable teaser video.